The goal of increasing the number of events and attendees at this year’s Massachusetts KIDS Boating Day was successful. The 2018 event, held June 2 to 10, included eight registered events, three of which were new, and total attendance of more than 5,000 — doubling the 2017 numbers. Massachusetts KIDS Boating Day was created in 2017 by the Massachusetts Marine Trades Association (MMTA). 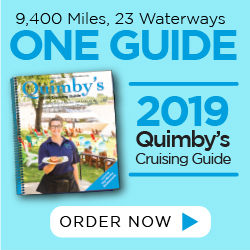 Its purpose is to support and promote youth boating events around the state to introduce younger people to recreational boating in Massachusetts. Another goal for 2018 was to include fishing events and promotion, so the dates were chosen to coincide with Great Outdoors Month (Great Outdoors Month) and National Fishing and Boating week (National Fishing & Boating Week). The decision to include and promote fishing events was that fishing and boating go hand in hand. Nearly 70 percent of boaters use their boats to fish. “I feel strongly that the more young people we can get involved with boating and fishing today, the more likely it will benefit our industry tomorrow,” said MMTA Executive Director Randall Lyons. This year’s eight events were: Touch a Boat events in Newburyport, Hingham, Charlestown, Nantucket and South Hadley; a lakeside event in Webster; and two youth fishing tournaments, one in Newburyport and one in Foxboro. Event activities included: boat trips, boat tours, fishing tournaments and demos, kid-friendly vendor tables, critter cruise, games, arts and crafts, life jacket and boating safety information, diving lessons, music, roving pirates, touch tanks, tall ship tours, police, fire and Coast Guard boats, and more. 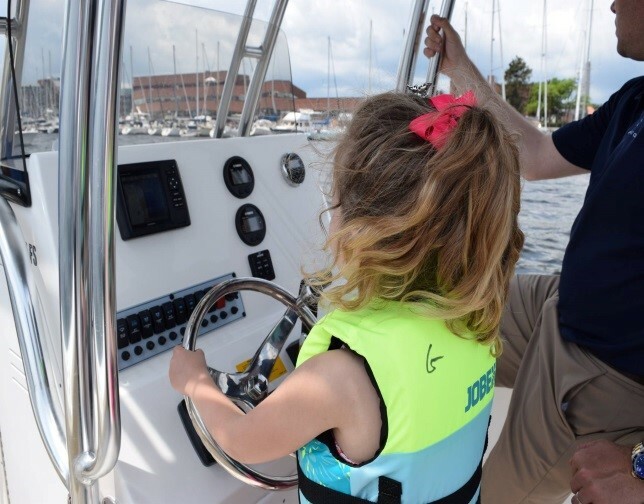 Mass KIDS Boating Day/Week is supported in part througha collaborative grant from the Recreational Boating and Fishing Foundation and Massachusetts Fish and Wildlife.